Daily express transport service to Beverley, York, Perth and return. Small to medium sized freight. 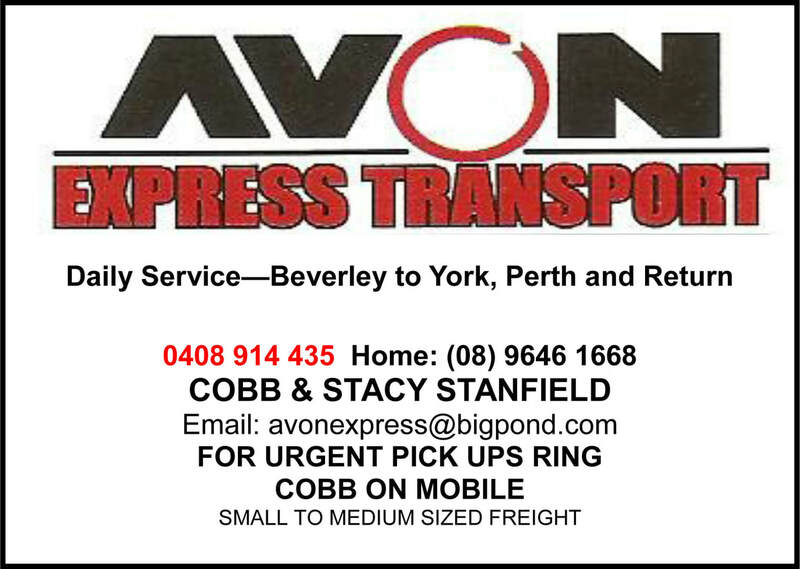 Contact Cobb or Stacy on (08) 9646 1668 or 0408 914 435 or email avonexpress@bigpond.com.